The lolly wrapper and advert come courtesy of the marvellous ‘doyouremember’ forums (see links below for the sources of these wonderful images). The advert itself is taken from TV Comic. Here are the links – it’s a great site, with lots of brilliant images and useful recollections…. TV Comic…..I have a very happy memory of being at Primary School in the 1970s and purchasing a pile of TV Comic at a School Jumble Sale. For 10p I acquired what felt like hundreds of issues. I cannot remember how I got them home, but I know they gave me hours and hours and pleasure. 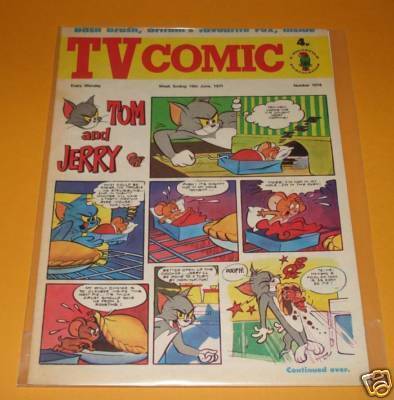 This comic did exactly as its title suggested – it was a comic full of comic strips based on TV shows. Like the Pink Panther. 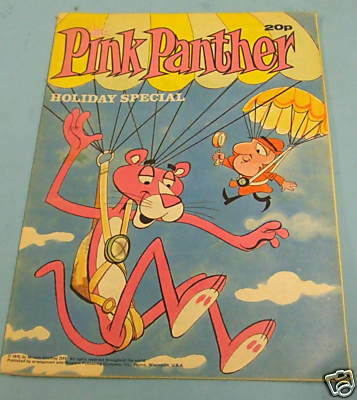 I remember the Pink Panther on the cover of some of the comics vividly. I also acquired a load of summer specials in that pile. I was in a state of comic ecstasy and began my life long love of comics, as I graduated, through the years onto Action, Bullet, Captain Britain, Mighty World of Marvel and 2000AD. http://en.wikipedia.org/wiki/TV_Comic – Wiki entry for TV Comic. http://www.26pigs.com/tvcomic/ – The Venerable 26Pigs site has a grrrreat piece about the TV Comic title. 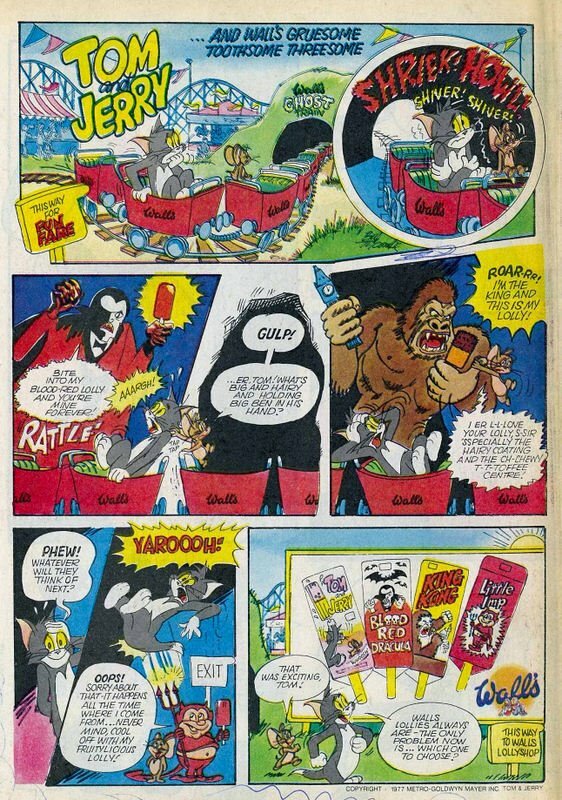 http://www.tonystrading.co.uk/galleries/annuals/tvcomic.htm – A great site that shows lots of TV Comic annuals throughout the years of its existence. Lovely. http://www.oxforddiecast.co.uk/CC014%20Muffin2.htm – A fascinating collectors perspective of the title. A good read with some great detail.